The week before last, my good friend Nicole and I jetted off to Copenhagen for two nights for a little city break. 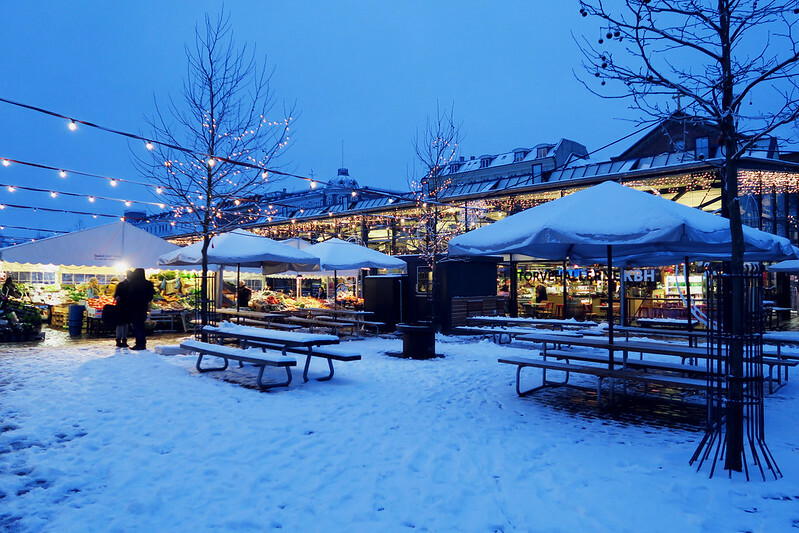 We booked the flights a couple of months ago when Ryanair had a £9.99 flight sale, but you can usually get some pretty good deals on flights with Ryanair to Copenhagen. We flew from London Luton and return flights were £19.98 return – a bargain! Our flight time was about 1h 40m and we arrived in Copenhagen at about midday on a chilly Thursday (our flight was actually delayed by about an hour, but since we only paid a tenner I tried not to complain too much!) We arrived to thick snow and temperatures of about -2 c – luckily we had packed thick coats, boots (well, my trusty Nike Air Max), hats and gloves! Copenhagen is well served by a Metro system that has stations within good distance of all of the main tourist spots. You can catch the Metro right from the airport – we bought a 24 hour ticket for all zones for about £9. 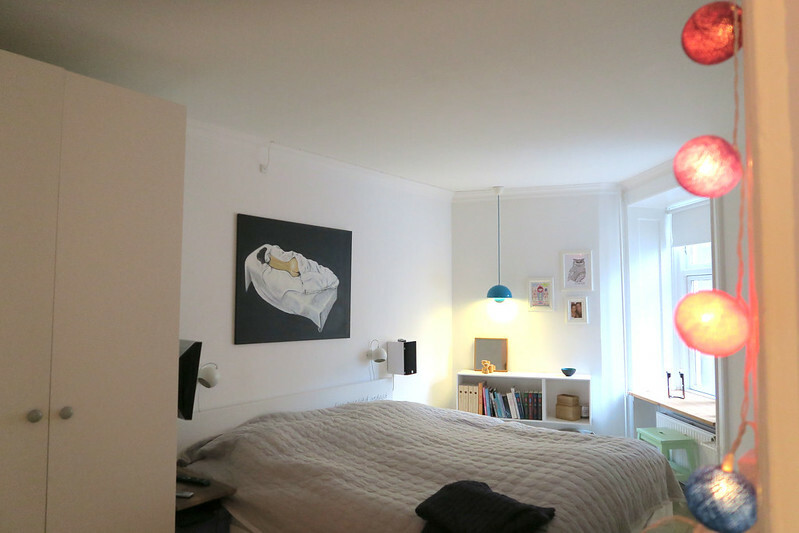 Our Air BnB apartment was located in Norrebro, a short walk from the Norreport Metro station (though a short walk is made longer when you a) walk in the wrong direction for ten minutes first and b) have a wheel-y suitcase you’re trying to negotiate through snow). 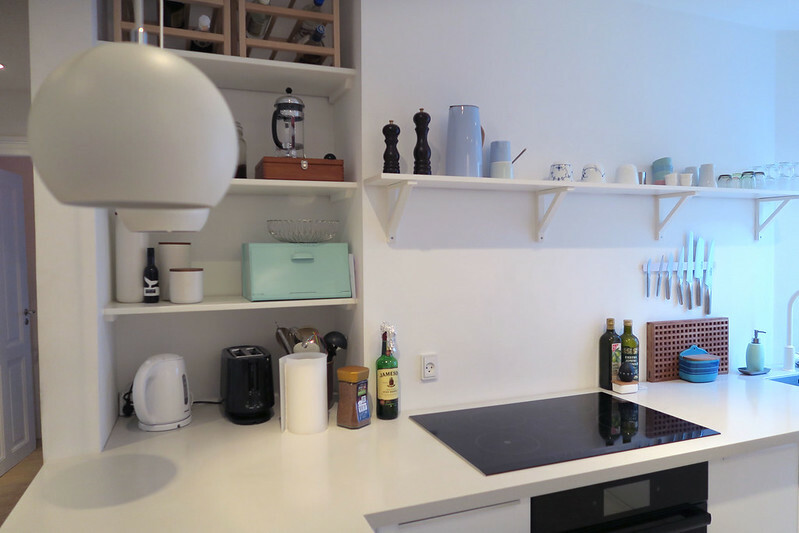 We finally found our Air BnB in a quiet street in quite a trendy neighbourhood, with shop fronts that boasted hip clothing stores, trendy cafés and wine bars. Having left the house at 3am that morning, it was a relief to be able to plonk ourselves on the comfy sofa for a moment and unpack. 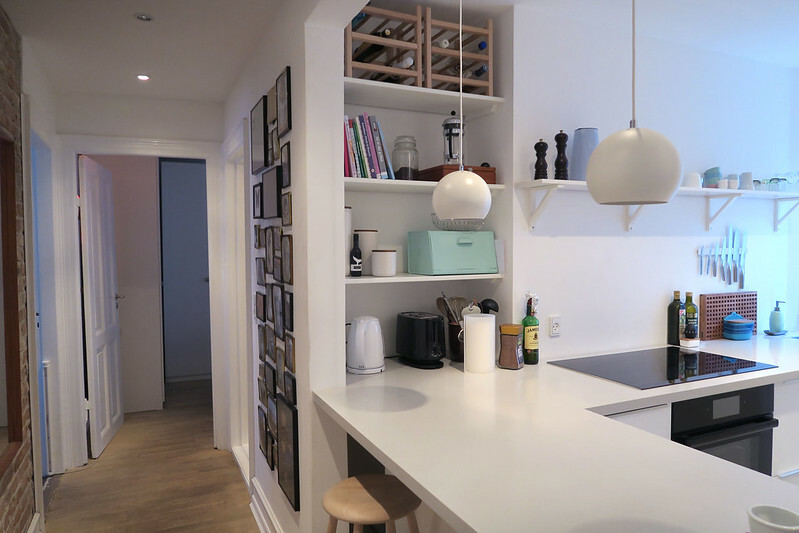 We paid £89 a night for Kamilla’s apartment via Air BnB (top tip: if you sign up here you can get £14 off your first Air BnB stay – bargain!) That meant that for the airport parking, the flights and the accommodation, we paid around £120 each – which I definitely call good value. Our apartment had a lovely lounge/diner, a huge, well-stocked kitchen, a bathroom with a big shower, and a bedroom with a comfy bed and lots of blankets – what more could you ask for? 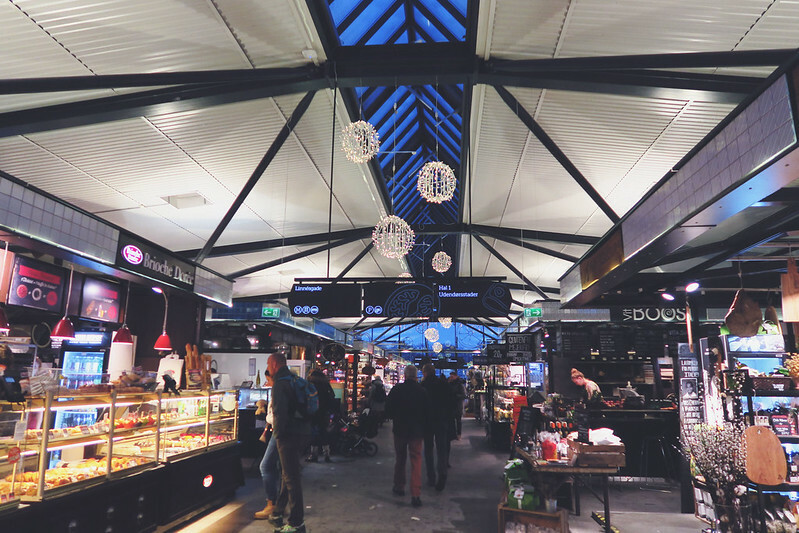 The Food Market was a real glimpse into just how ‘right’ Copenhagen have got it – they call it a ‘super market’ rather than a supermarket, and boasting delicious, fresh, local, organic produce, you can see why it’s popular with locals and tourists alike. We decided to press on to find somewhere to sit and eat and have a glass of wine. So many people had recommended Tivoli Gardens to us as a must-see; also mentioning that there are restaurants and bars on the periphery that were perfect for a bite to eat. 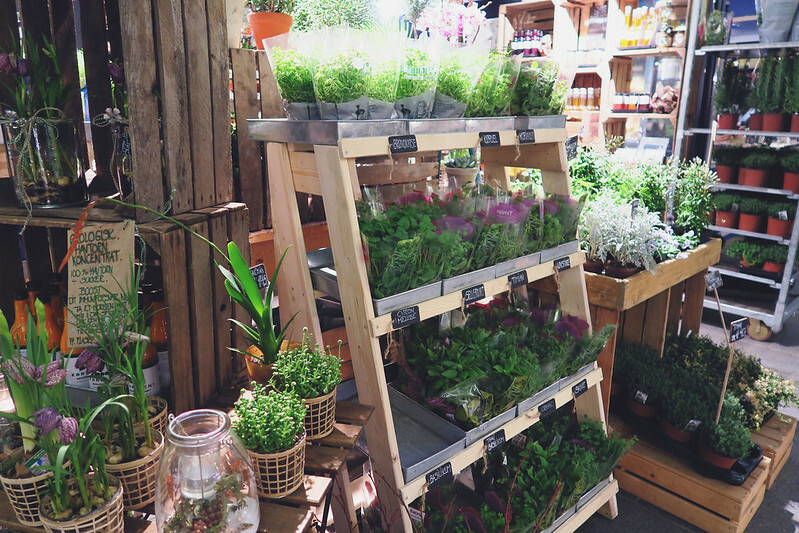 We hopped on the Metro and arrived at Copenhagen’s Central Station, excitedly finding the right exit and crossing the road towards the huge Tivoli Garden gates. At which point we immediately realised that it was very, very closed. Word to the wise – Tivoli Gardens shuts between 31 December and 6 April, so don’t make this number one on your to-do list without checking the opening hours. Oh dear. It was starting to get dark, and Nicole and I were both getting very hungry by this point (how was it that we were going hungry in a European city so famed for its food scene?) 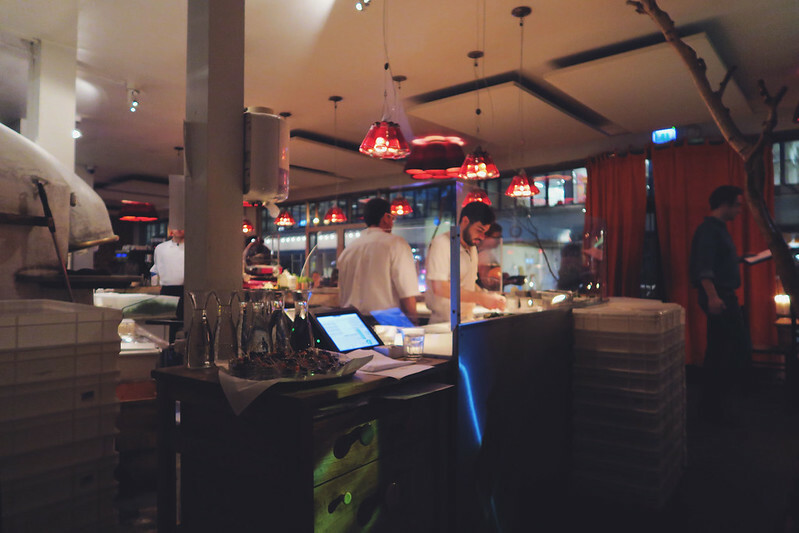 We decided to try another recommendation – the Meat Packing District in Vesterbro. We hopped on the Metro to Vesterport, opened the map… and realised that the Meat Packing District was actually closer to the Metro station we were previously at. Fail! We got the Metro back and began the 10 minute walk to the various restaurants and bars located in the Meat Packing District. The warm glow of the warehouse complex in the distance was like an oasis in the desert, and we became increasingly excited as we walked past a cluster of inviting, hip looking eateries. 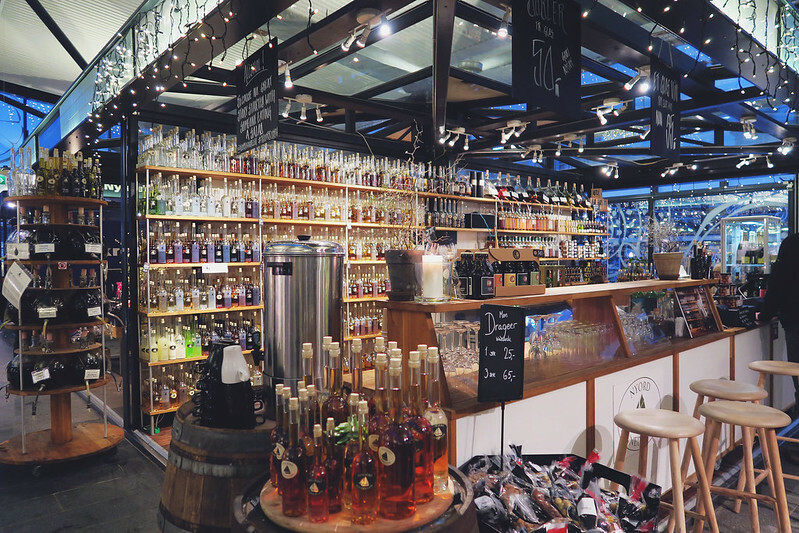 The warehouse complex still also serves its original purpose – and butchers and meat packing operations nestle alongside bustling bars and food outlets selling some of the city’s best burgers, pizzas and organic food. We arrived at Mother – an Italian restaurant which we’d been informed sold delicious sourdough pizzas (you had me at pizza). Luckily it was only around 5pm at this point so we got a table straight away – I got the impression it gets pretty busy at peak times. 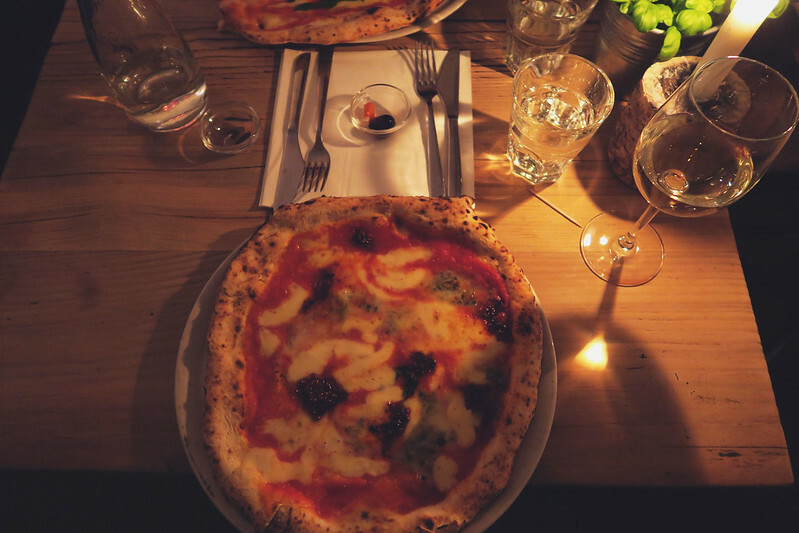 I had a Gorgonzola and Nduja sausage pizza – gorgonzola, mozzarella, tomato and spicy sausage. Nicole had the Prosciutto – prosciutto, tomato, mozzarella, pesto and rocket. The pizzas were around £14 – but they were huge and utterly, utterly delicious; frankly one of the best pizzas I’ve ever had. A large glass of wine was around £5. A few people had told me that the food was expensive in Copenhagen, but I would say that there are a lot of really great mid-range restaurants that are no more expensive than what we would pay in the UK. 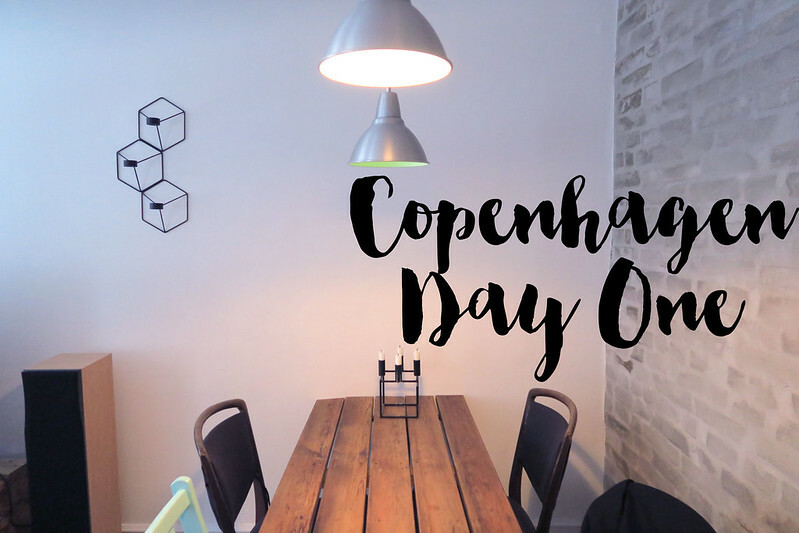 We had saved most of our exploring (and eating) for our full day in Copenhagen, so I’m excited to show you Day Two imminently, but I’m going to leave it there for the moment as that photo of the pizza is making me hungry!